without this help, I could not get it running. the following small test prog sets the vol. .
next I'll try to implement a rotary encoder. there is a nice lib for using the rotary encoder from old mechanical PS2 mouse. 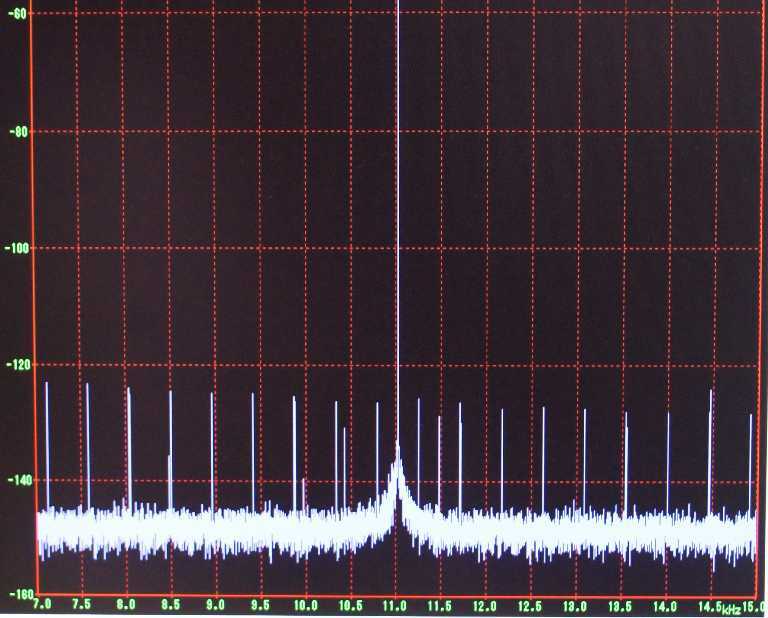 Recently a Japanese manufacturer, Fidelix published an interesting report for the relationship between grades of master clock oscillators and measured purity results for a test signal. They are now in the final development stage of their DAC product, CAPRICE, that uses ES9018 chip and they say their commercial product will be released within a month. They tried three crystal oscillators of different grades on the CAPRICE board. Their frequencies were between 90 MHz and 100 MHz. 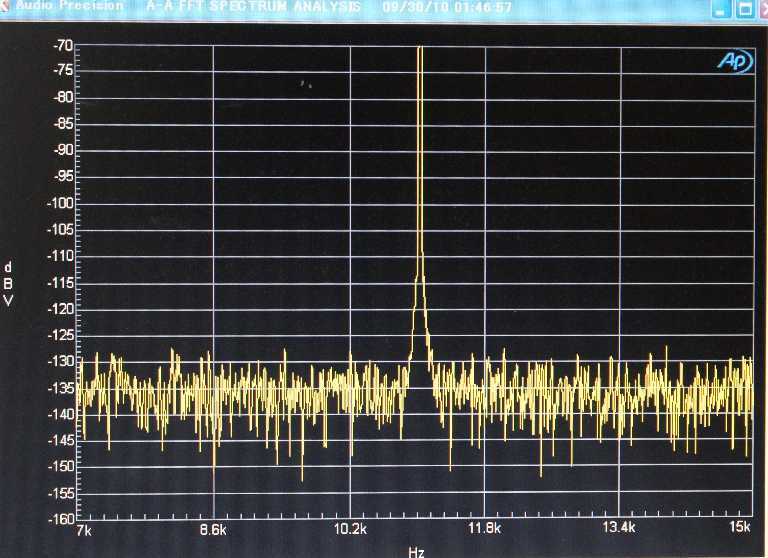 A test S/PDIF signal of pure 11.025 KHz generated by AP SYS2722 was injected to CAPRICE DAC and its analog output was measured with SYS2722. Type 1. Fidelix proprietary crystal oscillator with an amplifier of bipolar devices. A DC power supplied for this oscillator comes from a proprietary regulating circuit. A crystal unit used in this oscillator was selected from several samples available in markets. The spectral measurement result shows a very sharp peak. Type 2. A basic grade crystal oscillator easily available in Japanese markets (not special, not bad) The result shows an apparent peak broadening and a noise floor raise. They say results in listening just match well the spectral purities measured. They added a new result measured by PC-based devices. 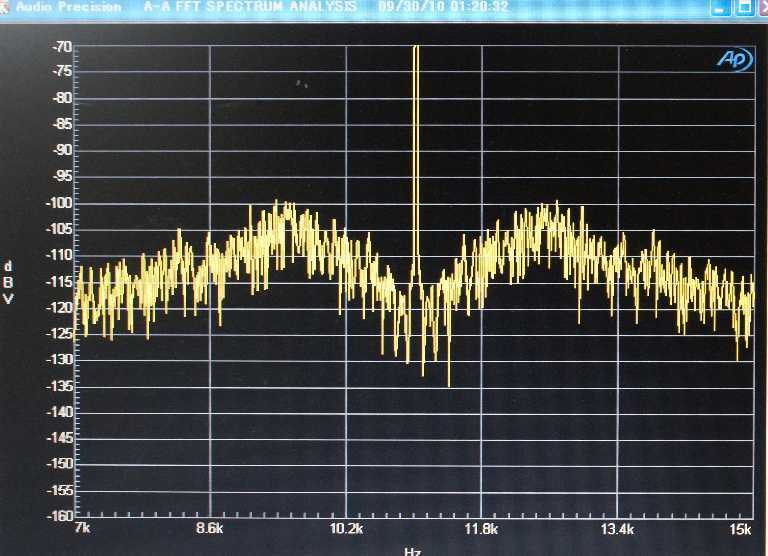 They are surprised that a combination of an inexpensive audio signal input device and a free FFT analyzer program gives a similar result with that measured by an industry standard high level apparatus AP SYS2722. They used "E-MU 0404 Second Edition" sound card and FFT software, WaveSpecrta1.40, for 44.1 kHz analog output sampling. 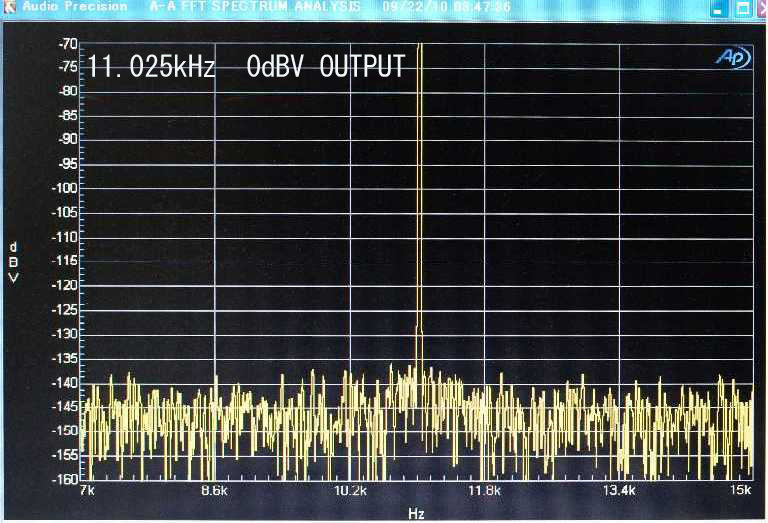 It may be worth trying this method to compare your system with various and rich Stereophile measurement results without SYS2722. 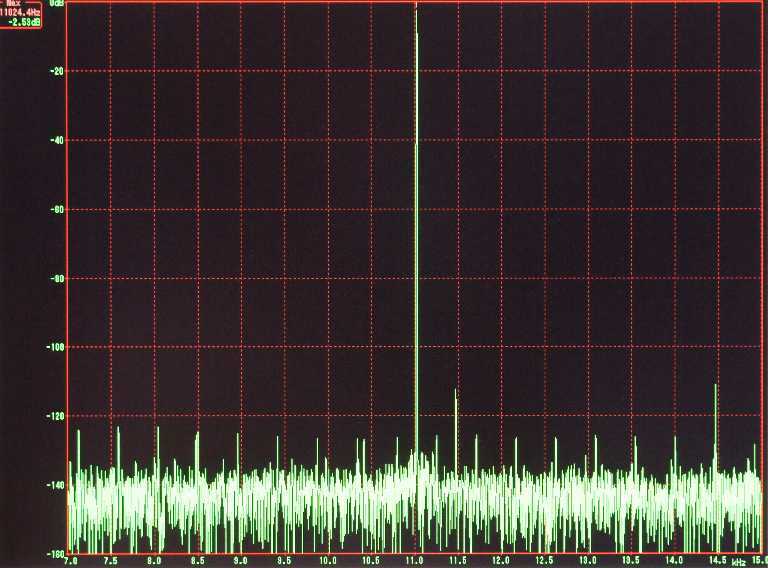 The stereo J-Test signal of 16 bit version is available from here. An updated spectrum was published. Averaged one. ES9018 is compatible for I2S of only 64fs bit clock. Namely, it does not accept 32fs bit clock even if the data is 16 bit length/channel and stereo. Bunpei, have you seen my email to you? you were trying to contact me while I was moving and had intermittent internet contact and no email, but we are ready for the clock if you are ready, both myself and acko have prepared for its arrival. This is true, it must have a 64fs no matter what. Hmmm...It seems by definition that if a DAC accepts 32 bit data (Sabre, Wolfson8741, other 32 bit DACs), BCK must run at 64fs. Even "low end" 24-bit DACs such as the PCM models require at least 48fs. Are there any current DACs that can run at 32fs bit clock? ...It seems by definition that if a DAC accepts 32 bit data (Sabre, Wolfson8741, other 32 bit DACs), BCK must run at 64fs. Even "low end" 24-bit DACs such as the PCM models require at least 48fs. Are there any current DACs that can run at 32fs bit clock? I just know about ES9018 and WM8741. In the case of WM8741 (it is 24 bit DAC), it detects whether BCLK frequency is 32*LRCLK or 64*LRCLK. If the BCLK frequency is 32*LRCLK, the DAC sets 16 bit mode automatically. Therefore, the DAC can accept I2S signals of a BCLK of 32*LRCLK. I have once applied 192 kHz/32 bit I2S to WM8741 with BCLK of 64*fs. The DAC could play a normal sound. I suppose the DAC interprets the leading 24 bits and ignores residual 8 bits within the frame. I have never experienced BCLK of 48*fs. Last edited by Bunpei; 4th December 2010 at 01:09 AM.